I was comissioned to paint a rooster and sunflowers on the front of a country sink. 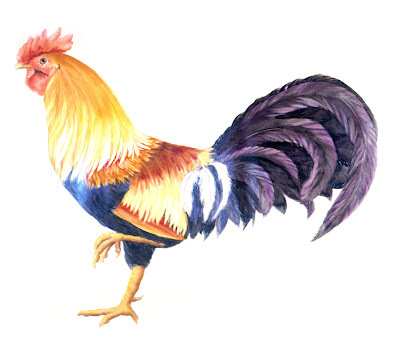 To work out the design, I painted this rooster on a large tray surrounded by sunflowers. My daughter Michele wanted the tray so these two chicken pieces live in North Carolina.